President Obama, if you are still planning to close the prison camp at Guantanamo, now would be a really good time. We now know that, in spring 2002, after months of intensive and “enhanced” interrogations had failed to produce any useful intelligence, the CIA sent its top Arabic specialist to the island prison. He interviewed dozens of the detainees and discovered why we weren’t getting actionable intelligence: We had the wrong guys. He reported that most simply “didn’t belong there.” His report was buried. By summer 2004, however, it had become generally acknowledged that none of the detainees then at Guantanamo was a significant player. Most had been picked up soon after 9/11 in and around Afghanistan and sold into captivity by local tribes people for bounties. They were not the leaders who were known to have escaped, but at most low-level foot soldiers, as well as a lot of innocent people swept up by mistake. It’s at best unclear how Guantanamo has kept us safe. In fact, to the contrary, we have pretty solid evidence that Guantanamo has helped produce more terrorists, not fewer. President Obama promised to close Guantanamo’s prison camp on his second day in office. He has certainly tried, albeit with little cooperation from Congress. However, given the circumstances eight years later, it’s time for him to make good on the promise. President-elect Trump has stated that he not only wants to keep Guantanamo open, he wants to fill it with “bad dudes.” He has also expressed comfort with detaining and trying suspected terrorist American citizens at the camp, something prohibited by the Constitution. Senator Tom Cotton of Arkansas, one of Trump’s finalist for Secretary of Defense, has said every detainee still in Guantanamo should “rot in hell.” It’s possible the 20 individuals cleared for release could remain for another four years just because Trump feels like it. Guantanamo stands as a sordid remnant of a dark chapter in American history that would best be ended before Trump’s administration continues it indefinitely. Who could better make this case than a Guantanamo detainee? 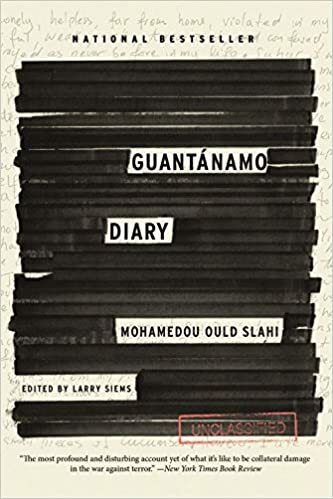 “Guantanamo Diary” is an account written by Mauritanian prisoner Mohamedou Ould Slahi. You can read Slahi’s official record here, thanks to the New York Times. In his diary, Slahi paints a portrait that at best is a Kafka-esque nightmare of labyrinthine questioning from interrogators (asking him, for example, about events in Iraq in 2003 while he had been in captivity since early 2002), and at worst a gruesome account of the torture he endured, including beatings, waterboarding and a mock execution. His interrogations were reportedly personally approved by then-Secretary of Defense Donald Rumsfeld, who once dubbed Slahi the most valuable detainee in Guantanamo, a ludicrous claim. At no point was Slahi able to provide the United States with any useful information, even after he gave up and offered to say to his interrogators whatever they wanted to hear, true or not. He was even asked to implicate people he never knew in crimes he never saw. However, Slahi wasn’t captured on the battlefields of Afghanistan or plotting an attack against the United States. In fact, he was working in Mauritania doing IT and telecommunications work, and when asked to answer questions about his associations, he voluntarily showed up to government offices, from which he was detained, transferred to a secret U.S. prison in Jordan, then flown to Guantanamo, all in secret and without informing any family members or the government of his home country. Based on that history, the government concluded that Mr. Slahi was a “senior recruiter” for Al Qaeda and for a time, listed him as the most dangerous terrorist at Guantánamo. But it has never formally charged him. Mr. Slahi says he left Al Qaeda in 1992, long before it began to target America. His encounter with Mr. Bin al-Shibh lasted one evening and involved no discussion of anti-American plotting, he claims. And Mr. Ressam had left Montreal before Mr. Slahi arrived, and by his account, they never met. A federal judge who reviewed Mr. Slahi’s habeas petition in 2010, James Robertson, concluded that the government’s evidence was “so attenuated, or so tainted by coercion and mistreatment, or so classified, that it cannot support a criminal prosecution.” The judge said the government’s fear that Mr. Slahi could rejoin Al Qaeda if freed “may indeed be well founded,” but that such concerns did not justify his continued imprisonment. Judge Robertson ordered his release. Six years after clearing him, the U.S. finally released Slahi on Oct. 17 (last month! ), and he has returned to life in Mauritania (if return to a normal life can happen after his experiences). I encourage you to read “Guantanamo Diary” with a critical eye. 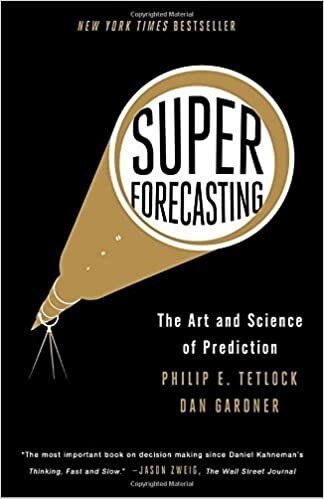 I remained skeptical of his account throughout, but I could not find any evidence of subterfuge in his candid and unvarnished account of his experiences. He seems to have been in the wrong place at the wrong time one too many times in his life, but he is not a radical nor an enemy of the United States. To the contrary, his account is intelligent, reasoned, compassionate and even humorous at times. To protect American operatives, they redacted names of any interrogators or guards. However, they also redacted pronouns, but only female pronouns like “she” or “her.” Male pronouns remain in the text. So it actually draws more attention to the fact that an individual was female. DOD redacted dates from the manuscript, even though the dates of many events are public record. However, they don’t redact them uniformly, so many redacted dates just appear somewhere else. At one point, they redact the word tears from Slahi’s statement that he “broke out into tears.” Apparently emotional responses are classified secrets now. The whole package – the redactions, Slahi’s account, Guantanamo itself – is an embarrassment to American values, to say the very least. We lost much credibility as a purveyor of human rights and justice in the world, and for what? We are no safer thanks to Guantanamo. Surely, if we were, the U.S. would have shouted it from the rooftops by now. This entry was posted in Books, International relations and tagged bush, civil rights, diary, guantanamo, human rights, justice, mauritania, obama, redactions, rumsfeld, slahi, terrorism, torture, Trump. Bookmark the permalink.